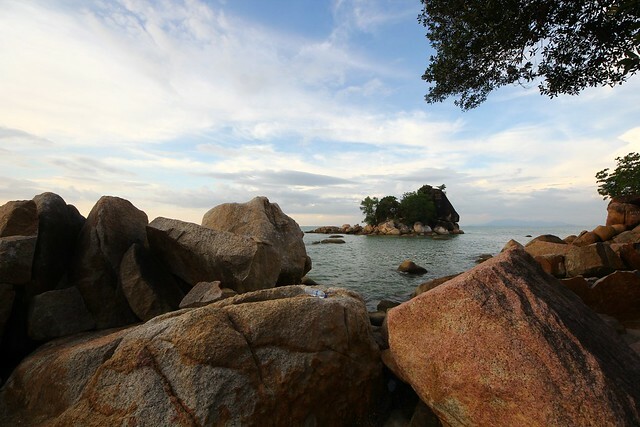 Lover’s Isle, Batu Ferringhi – Lovers’ Isle is actually a batu (rock) outcrop near to Batu Ferringhi. Long long time ago, this little isle is the landmark for seafarers of old to stopover for a fresh supply of water from the nearby river. 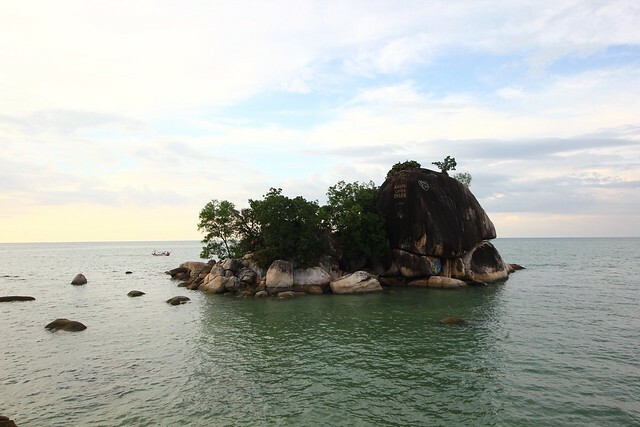 Local Malays called the seafarers ferringi, and later then because of this rock, Batu Ferringhi is now Batu Ferringhi. I’ve no idea why Lover’s Isle is named, but then Lover’s Isle is actually another name for Batu Ferringhi. Yesterday, I passed by the place while on the way to the national park, curiously stopped by to take a few photograph of Lover’s Isle. The place is very rocky and dirty. There’s name of lovers on the rock. Beach near to Lover’s Isle. 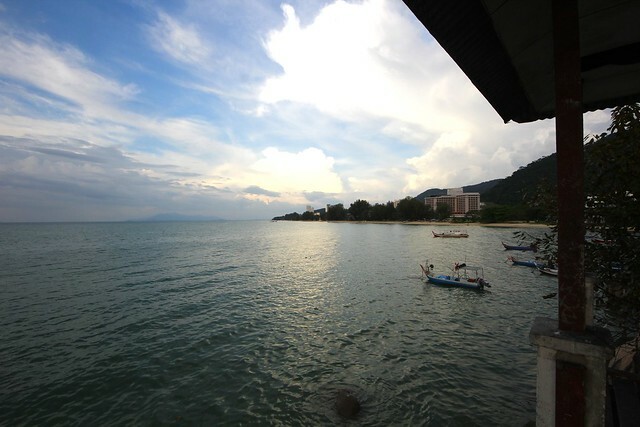 Lovers isle to me is the landmark of Batu Ferringhi. We stay at the now Petronas bungalow where my late mum was the caretaker. I propose that newly weds take a photoshoot. Lovers isle will be forever there.